Electricity use. Overhead costs. Maintenance downtime. There are things every business wants less of, and which can be solved by various energy efficiency solutions. But there are also important things businesses want more of: quality output, operational visibility, space utilization, customer insights. How do we reduce inefficiencies while improving your business productivity? We call it building an intelligent environment, and it all starts with a light. Businesses in numerous industries are taking the first steps to build intelligent environments by investing in LED lighting and sensor-enabled networks. By upgrading to LED technology, businesses can slash lighting energy costs by 50% or more. But that’s only the beginning. When paired with sensors and software, LEDs become a gateway to the industrial internet of things, which holds enormous potential to collect, analyze and take action on data-driven insights in commercial facilities and buildings. With more than 7 billion fixtures in the U.S. alone, lighting is everywhere. And when it’s smart, it can reveal even the unseen. We’ve seen that companies ranging from a Fortune 500 bank, to a multibillion-dollar Silicon Valley tech company, to one of the largest sporting apparel companies in the world, are adopting new digital infrastructure to transform their offices, buildings and facilities into intelligent environments, and all their journeys began with LED. Converting to LED is an important and smart first step for one very big reason. LED lighting and controls generate immediate cost savings through a reduction in energy consumption. 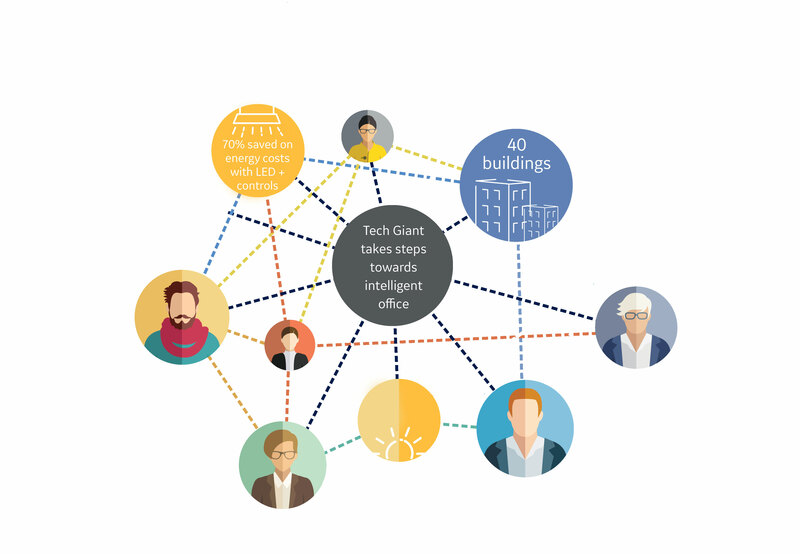 Those savings can be used to invest in sensor-enabled networks and a digital platform so that fixtures and sensors that collect data can use IoT applications to make facilities and buildings intelligent. What do LED lighting and sensor-enabled networks deliver today? Connected lighting is changing the way businesses across industries and around the world operate. I’ll share a few recent examples from our business. One, a multibillion-dollar Silicon Valley tech company installed dual daylighting control zones to improve employee comfort and energy savings. Occupancy sensors save energy by turning lights on or off based on space usage, and dynamic plug load control saves energy when electronic devices are not required. Automated demand/response capabilities comply with utility demand/response events to save money by programming lower energy use when peak pricing is in effect. To-date, 40 of the company’s buildings and parking lots have been installed with controls-enabled LED fixtures, saving the company 70% on annual energy costs, while more comfortable employees are improving output and driving the business forward. Another example, a Fortune 500 bank, discovered 75% of thermostats in its retail locations were improperly configured, resulting in significantly higher heating and cooling expenses. In addition, the bank wanted to reduce safety issues for customers if an ATM light went out at night. 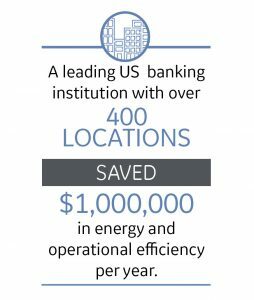 The bank installed indoor and outdoor lighting automation with failure detection, and enterprise-level alarms and alerts. HVAC control and monitoring was also installed to make sure thermostats remain at the right temperature, are working properly and settings are correct. The same sensors predict system failure, allowing better scheduling of repairs and avoiding costly emergency service fees. Information from these sensors can also improve operations, reduce downtime and minimize workplace disruptions. The system makes it easy to control each site’s temperature to improve comfort and enhance customer experience at each branch. 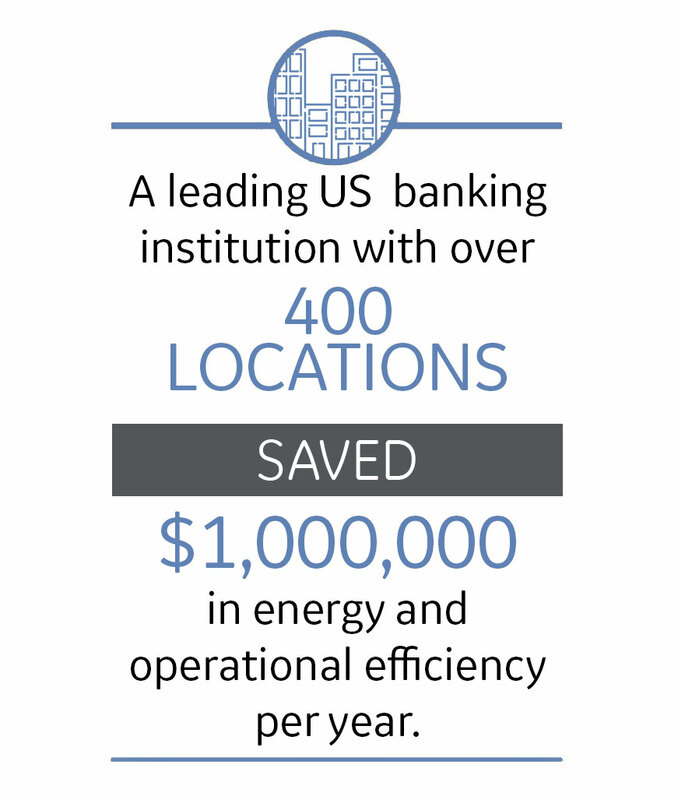 With more than 400 retail branches, this business is realizing energy and operational savings of nearly $1 million each year, along with improved safety at ATM machines. Finally, a leading athletic apparel manufacturer was building a state-of-the-art facility that needed to provide a technology platform for future IoT applications, offset operational costs through energy savings and ensure consistent lighting across the 1.9-million-square-foot distribution center. A sensor-enabled network was installed along with new LED fixtures to provide occupancy sensing, scheduling and task tuning. The company has seen a 30% energy reduction with the combination of controls and LED lighting, with an additional 20% savings from task tuning. Lighting quality and employee comfort are positively impacting productivity, and the customer is now installing a sensor-enabled network at another distribution center. I share all this to show connected (IoT) lighting is here already and delivering a strong ROI, and customers of all sizes, geographies and industries can benefit today and in the future by investing in this technology. What can intelligent environments deliver in the future? This is just step one in the path to intelligence. Since our sensor-enabled network uses a ZigBee mesh network, it offers the flexibility to easily add a variety of fixtures and sensors over time. With that flexibility, it offers businesses the ability to collect and analyze data in new ways and from new sources in the future. With the infrastructure in place, they can leverage a host of applications in the ecosystem. For example, in offices, Teem or iOffice can optimize space planning and enhance usage of common areas; in retail, Serraview helps managers understand space utilization in real time and track customer patterns over the long term; in distribution centers Keonn manages and tracks inventory through RFID readers and software technology. And these are but a few examples of the enormous possibilities already out there. Connected lighting is making the future brighter for businesses everywhere, as the first step toward an intelligent environment.